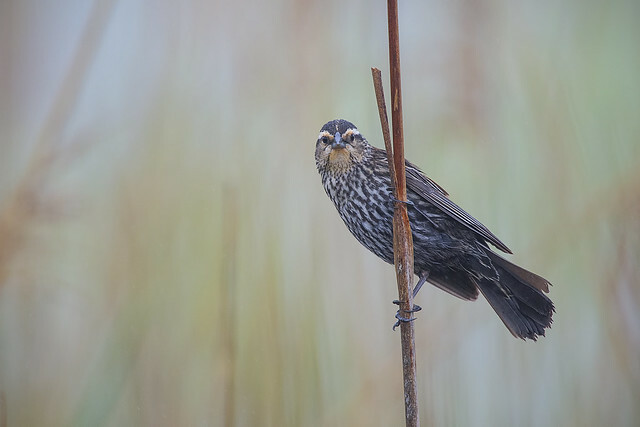 The Maryland Department of Natural Resources (DNR) today announced the winners of its 12th annual photo contest, with Santosh Shanmuga of Gaithersburg, Maryland claiming top honors for his serene Female Red-Winged Blackbird taken at Swan Harbor Farm in Harford County. The winning images will appear in the winter edition of the agency’s seasonal magazine as well as its 2016 calendar. As the grand prize winner, Shanmuga will receive $500, a 2016 Maryland State Park & Trail Passport, a lifetime subscription to the magazine and five copies of the 2016 calendar, all of which can be purchased on shopdnr.com. In total, approximately 200 people entered more than 1,100 photographs for consideration this year─a new record. Photo contest judges selected one additional photo from each category, and DNR Facebook followers are encouraged to “LIKE” their favorite by the end of September. The photo with the most likes will also be featured in the calendar. First place category winners will each receive a 2016 park passport, a two-year magazine subscription and five copies of the calendar. Second place photographers will receive a one-year subscription and calendars. Honorable mentions will receive a complimentary calendar.